Short of time in the mornings? Bored of your faithful ponytail? Discover five quick and easy ways to style your hair when you’re pushed for time. It’s 8:15am and you’re still making sandwiches, while shouting at your kids to get their shoes on, brush their hair and cheek their PE kit. Sound familiar? If your home is anything like ours, most school mornings are a mix of panic and chaos. And it’s not unusual for us to realise, as I’m greeting the teacher at the school door, that we forgot to brush our own hair. 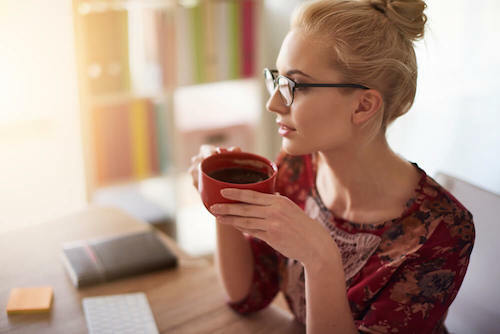 So we’re all for quick and easy shortcuts in the morning – especially if we can’t afford to suddenly realise, mid-meeting – that we still have bed-hair! To help you (and us) here are five quick ways to style your hair if you’re pushed for time. With practice you’ll soon be perfecting these looks! The bun hairstyle combines a practical look with a stylish trick in minutes. It won’t go out of style too soon, either, so it’s a technique worth perfecting. It’s also versatile – a great fit for both a business meeting and a relaxed coffee with friends. Start by combing your hair with your fingers and gather it all up into a ponytail. 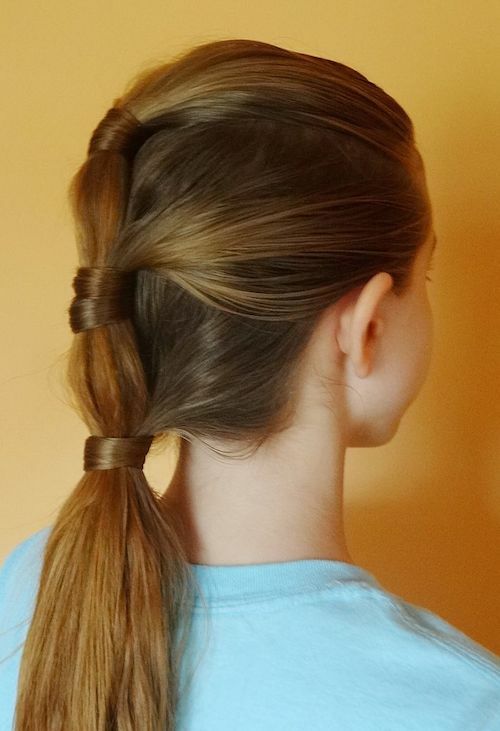 Secure with a rubber band, then spin your ponytail into one strip and wrap it around its base. For a quicker style, you can stop half way, dragging your ponytail out of the rubber band. This way, you’ll obtain a pumped loop of hair. To finish, pull your hair gently with your fingers, giving it a ‘messy’ look. This hairstyle is perfect for all types of hair, but looks amazing on curly hair. To achieve the look, part your hair in two directions. Place over the headband, making sure it is centred half way across your forehead. Next, take out some hair strands from the back so you can cover the headband and it’s seen only from the front. 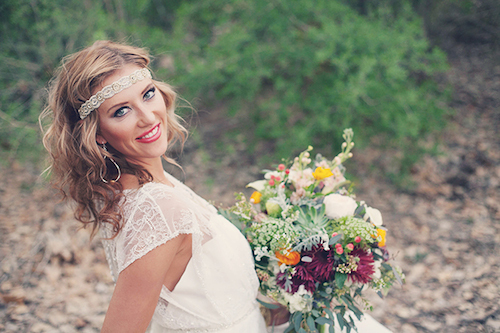 You can choose an elegant or classic headband – whatever fits your look. This hairstyle looks complicated, but it will take you just a few minutes. To start, gather all your hair together into a low ponytail, then braid it into a loose strip all the way down. 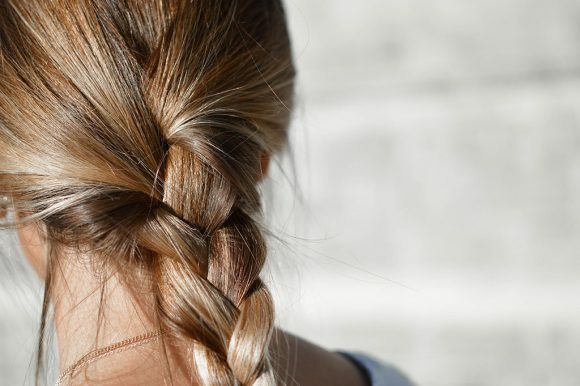 Secure the braid with a small elastic band. 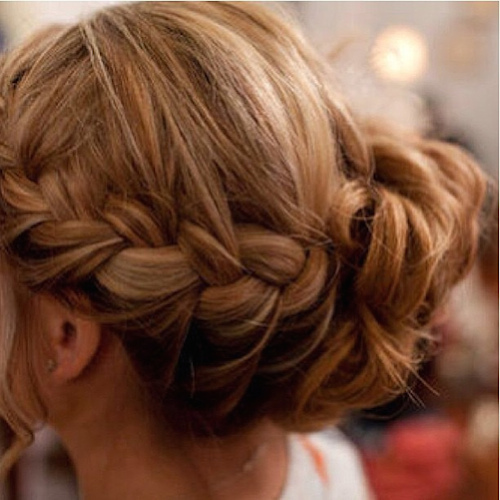 Now wrap the braid around its base to create a bun (you can hide the loose ends with some cleverly placed bobby pins). If your hair doesn’t like this shape, you can secure it with hairspray. We all know how easy and comfortable a ponytail is. However, worn every day, it can start to feel (and look) boring. So here’s an easy upgrade – the double or triple ponytail. Begin by pulling the hair above your ears into one ponytail. Make sure you fix it with elastic band halfway down your head so that the rest of the hair is loose. Then gather the remaining strands into a second ponytail, and secure it right beneath the first one. If you opt for a triple ponytail, gather the remaining strands into three ponytails. As a finishing touch, you can cover the elastic bands with your hair. You can also try to unite the three ponytails for a more sophisticated look. No one will believe it took you so little time to put together this look! The pompadour is the fastest way to pump up your hair’s volume and give it a rocking, fresh look. Considered one of the most iconic historical hairstyles, it’s virtually guaranteed to turn heads. Start by picking out a section of hair from the top of your head and pulling it up. Take a comb and tease it at the back to give it some volume, and spray the roots with hairspray. Now, your hair is ready to pull back. Secure this section with bobby pins (if the pompadour goes flat, you can pull it back up with your fingers). If you like, you can leave the style here for a more innocent look. Or you can give it more sharpness with a rock n’ roll style. To do that, take the sides of your hair, above your ears, and comb them to the top of your head, right behind the pins that are fixing the pompadour. Secure with clear elastic, and you are ready to rock your day. So, these are the quick ways to style your hair when you run out of time. With some practice, you are going to need fewer minutes to get your perfect look.